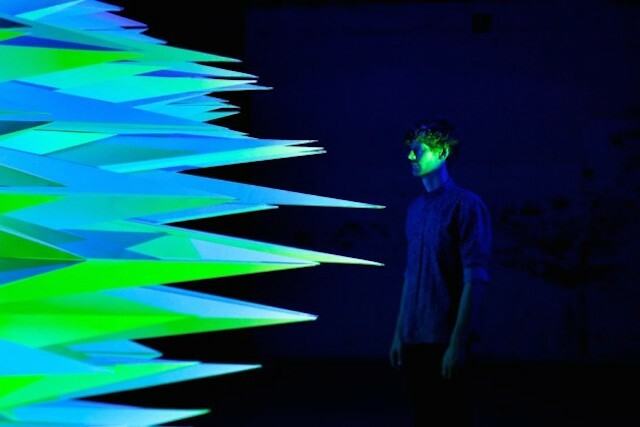 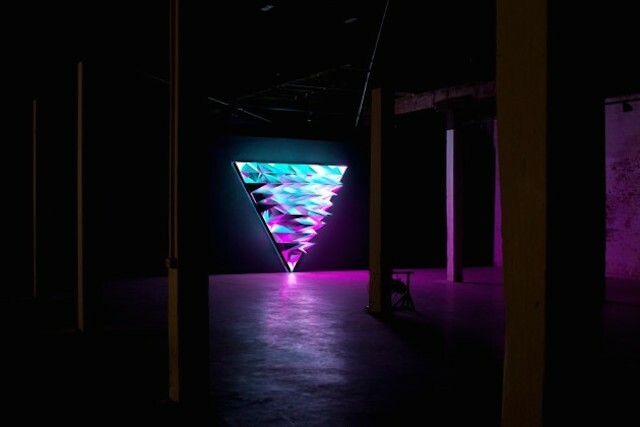 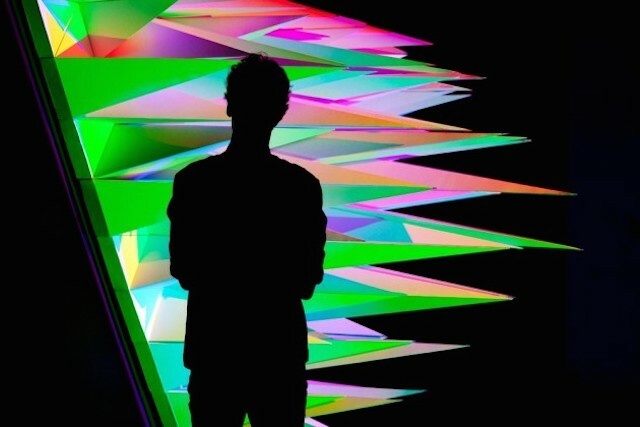 The artist Flynn Talbot has created a lighting installation called “Primary” that has been exhibited at PSAS, in Perth, in Australia. 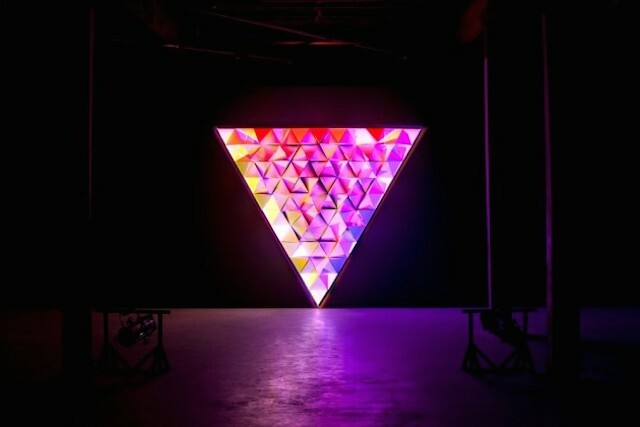 This artist explores the 3 primary colors and triangular shapes through 3 different LED lights’ sources. 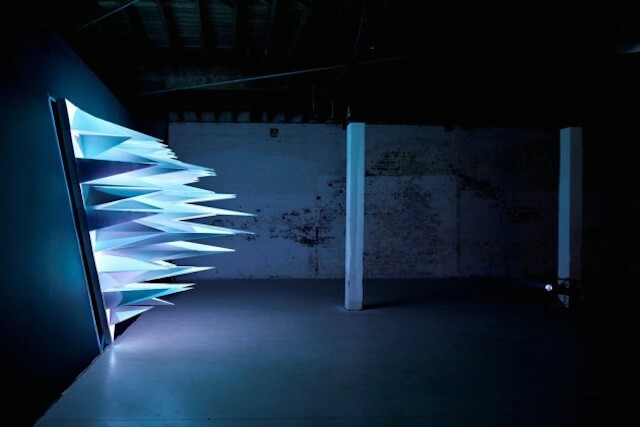 Discover the installation through John Madden’s pictures.